Lack of transparency in the workplace is a failure to communicate. We are left with assumptions that may or may not be true. I have had several experiences like this throughout my career. In one case my director backed out at the last minute on the cost for a project I was asked to lead. The other stake holders were shocked as was I and guess who was expected to clean up the mess? Another time with a different company I was sent to a sales training by my boss. The training was well done and useful. Upon return from this conference I was informed that I was forbidden to implement what I had learned because the boss did not agree with it, the same boss who had sent me there in the first place. Too often leaders in a company are not committed to transparency in decision making processes. When employees navigate with false assumptions they can be left holding the bag. 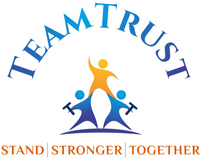 As a company Team Trust is looking for opportunities to be a change agent for better communication and collaboration. This is the goal of our business simulation with debrief. Does this make sense? So much is WRITTEN about Trust but so FEW conversations about this concept appear in most workplaces. People do not want to talk about it. It is like the issue around Ethics. The Lost Dutchman team building game gets people to make choices and to behave, and those can be used to have a really solid discussion about trust and choice and collaboration in their workplace. People can only choose between "considered alternatives" so discussions are quite useful. Peer pressure / support can also help in generating alignment to new possibilities. "Trust is the residue of Promises Fulfilled," is a quote I have used, from my friend Frank Navran. We need to tie expectations, commitments and actions to the concept that we fulfill our duties to each other.